Read the Publication – With so many magazines offering at least limited content online these days, there is no excuse for not reading a few articles in a publication before sending your press release or pitching your story. Reading all the publication guidelines in the world can’t substitute for firsthand knowledge of a magazine’s content and style. Submitting an unsuitable piece to a publication shows the editor that you did not respect her time enough to do your homework. Plan Ahead – Magazines operate on a long lead time, so you should approach an editor at least three months before you want your story to run, and preferably six. This is especially important if you story is intended to run at a certain time of year, such as a holiday. Further, many specialty and trade magazines, though not hard news magazines that must keep up with current events, have their editorial calendars planned out as much as a year in advance. Most publications will be happy to share them with you so that you can plan accordingly. Just call the main phone number, email the “Info” or “Press” address, or check around online, as the editorial calendar might be posted. Pitch to the Right Person – Sure, it’s easier to send your query to the Editor-in-Chief and hope for the best, but unless you are pitching to a tiny publication this will generally get your story sent straight to the recycle bin. These days, journalists and editors are often listed on the magazine’s website, but another good strategy for making sure you are pitching your story to the correct journalist is to call the organization and ask. Choose Your Approach – There are three common ways to get magazine coverage for your story – sending a press release, pitching to an editor who then assigns a journalist to the story, or submitting your own article or feature story. While sending a press release is generally accepted at all publications, this approach has the lowest chance of garnering coverage. Pitching to an editor takes work – you must query them, either by phone or email – but often is your best chance of getting published. As for writing your own story, some magazines are glad for the extra content, while others will be offended that you even suggested this option. This is why it’s a good idea to know the publication and to do your homework beforehand. If you do try this route, be sure to stick to the publication’s guidelines. Once you have landed a story in a magazine, don’t forget to recycle your publicity by posting it on your company website or lifting choice excerpts for use in marketing materials. 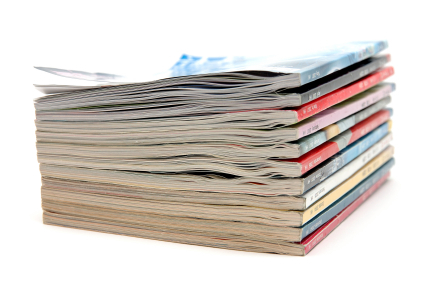 With the right handling, one positive magazine article can generate many fruitful returns.